Law enforcement officials throughout Colorado (and the U.S.) have been using DUI checkpoints for decades as one method of trying to nab drivers suspected of being intoxicated or impaired. In fact, in Colorado alone, DUI checkpoints are set up by officers at least one to two times per month. Despite their prominence, however, DUI checkpoints are starting to become the target of growing criticism, as some are contending that these efforts are costly and far less effective than other DUI enforcement efforts, such as roving patrols. 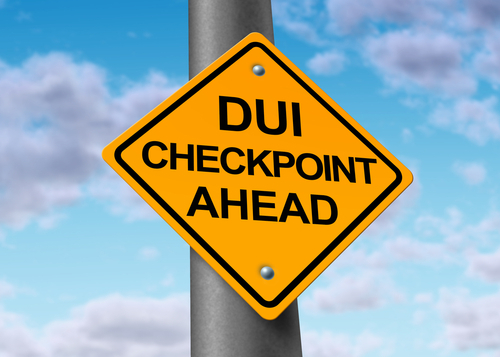 An experienced Boulder & Denver DUI attorney takes a look at the debate over the efficacy of DUI checkpoints. Contact us for the best DUI defense. Are extremely easy to avoid – In fact, modern technologies may be assisting motorists in avoiding these checkpoints, as people can text their friends to warn them about where checkpoints are, there are now checkpoint warning apps in some locations, and some GPS systems may even feature alerts about checkpoints. This ends up meaning, as critics contend, that drivers can plan their routes to specifically avoid checkpoints. Are costly to conduct – On average, a single DUI checkpoint operation costs between $8,000 and $10,000 to run. Over certain DUI enforcement periods (like New Year’s or Labor Day, for instance) when multiple DUI checkpoints may be set up throughout the state, this can mean that tens to hundreds of thousands of dollars can be spent on running checkpoints that may (or may not, as noted above) be effective at taking impaired drivers off of the road (or deterring drunk people from getting behind the wheel altogether). Often lead to few (if any) DUI arrests – In fact, while some research has found that only a very small percentage of drivers who pass through DUI checkpoints end up being arrested for DUI, other studies have found that roving patrols are about 10 times more effective than DUI checkpoints at targeting drunk drivers. Given the above findings, critics are pointing to the need for replacing ineffective, costly DUI checkpoints with more roving patrols (which only cost about $300 per patrol). The states that use roving patrols have an average of 7 percent fewer alcohol-related fatalities than those states that use checkpoints. DUI checkpoints are proven to be effective at deterring drunk drivers… The goal is not to write tickets or make arrests but rather to remind the public that they should drive sober or face serious consequences. What do you think about this debate? Do you think DUI checkpoints are ineffective or do you believe that they are useful and should continue to be used? Share your opinions with us on Facebook & Google+. Have you been charged with a drunk driving offense in Colorado? If so, you can turn to the Boulder & Denver DUI attorney at Griffin Law Firm for experienced help and the best possible defense.